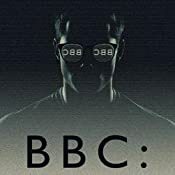 Start reading BBC on your Kindle in under a minute. 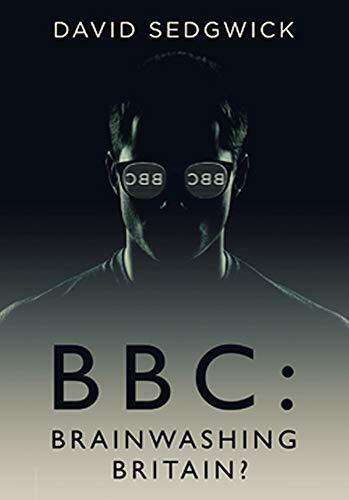 There is an awful lot to agree with in this conspiracy theory book that accuses the BBC of being unrelentingly left-liberal biased. The premise is that the rot started after the First World War and as the Proles failed to turn to communism to improve their lives it was now up to the self-appointed elites to show them the way. According to David Sedgwick a group called the Frankfurt School of thinkers left Nazi Germany and entered universities where they started bending young, impressionable minds. From the universities their left liberal philosophy percolates via its alumni into all higher strata of civil service and media. His identifying of how brainwashing is done is edifying - entertain the masses with drivel - Bake Off, Strictly etc., lie by omission (don't report or else "bury" news that doesn't fit the Agenda), influence by choice of vocabulary when reporting and frighten or insult all "wrong thinkers" so they keep their opinions quiet. What is the point of all this psychological manipulation? That we will have a better world if the elite "right thinkers" are in charge and the rabble of "wrong thinkers" either shut up or are re-educated. I used to enjoy the BBC and unquestioningly so until about 20 years ago when I first noticed its agenda. Rather like the EU it started off benign and over time has become more and more controlling, opinionated and self righteous. David Sedgwick accuses BBC employees of having a hive mentality the like of which doesn't exist in other large corporations. He says, and quotes ex employees saying, that if you are a "wrong thinker" or read the wrong newspapers you will never progress within the BBC. He refers to their journalists as activists, regurgitating other left/liberal tweets and news sources rather than doing their job of investigating. Often these journalists are giving personal views instead of facts. Like Orwell's dystopian1984 they have hate figures about whom they can demonstrate their group hate and check each other's faith and allegiance - Trump (jeer, sneer) Robinson (jeer, sneer) Daily Mail readers, Brexiteers, white Christian males etc. "Right Thinkers" are globalists, left of centre, sexually fluid, multicultural, no borders etc etc. The bias is plain to see, once you open your eyes and mind, unless you are part of the cult. The reason for three stars - I think the book is poorly edited. It rambles and rants in places so that hard hitting points are lost in the foam. Every day there are dozens of examples of the BBC burying "unsuitable" news, editing, omitting, refining news to push their agendas but I didn't feel there were nearly enough examples. Finally, many many people moan about BBC bias and can't bear to watch it but in Sedgwick's book he keeps quoting from the same half dozen sources - Robin Aitken, Peter Sissons etc. This book will appeal to those already aware of BBC agendas and people-programming, however I think sceptics will lose patience. Last word - the Kindle version was dire with a terrible layout - rushed out? 5.0 out of 5 starsYou're not only being brainwashed, but you're PAYING for the privilege! This is a must read for any UK citizen. David Sedgwick's well research book is filled with numerous examples of how the arrogant elitists at the BBC are purveyors, not of unbiased news and information but of unrelenting propaganda, who make Goebbels look like an amateur. No matter what your political persuasion, if you expect a publicly funded broadcaster to adhere to the editorial values in its charter and exercise 'accuracy and impartiality' in the news which it presents to the public, you will be outraged at how the BBC deliberately and cynically flouts these values on a daily basis. It's high time the BBC was broken up. Now I would fight to make it subscription only. Anyone that has studied the BBC and uses alternative news sources will know that they promote news that fits the narrative and ignore or misrepresent anything that doesn't. Backed up by "comedy" shows that tell everyone the right thing to think and mock any deviation. What this book does is concentrate and document the many, many instances of blatant bias. 4.0 out of 5 starsShould be read by those wishing to know the truth. This book badly needed editing. There are spelling errors, grammatical faux-pas and unnecessary repetition. However, there is plenty of convincing content here, and it undermines pretty thoroughly the BBC's belief that it is fair and impartial. The news, current affairs, drama and comedy departments all follow anti-democratic guidelines that are rarely if ever spoken about within the Beeb and really ought to be. 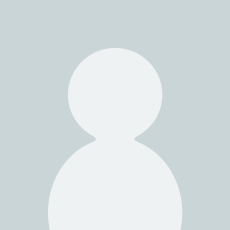 The nastily ad hominem attacks on supposedly right-wing politicians are especially reprehensible, and there is little attempt to balance these with similar attacks on people of the left. I was surprised there was so little reference in this book to Radio 4's The News Quiz, which has become unlistenable to because of its crass pursuit of a hard-left agenda. The writer concentrates on the BBC's determined attempts to denigrate Brexit and Trump, but there are many more examples of its prejudices in action, which are fast invalidating its right to levy a licence fee that is, effectively, a poll tax. I have always admired the BBC at its best: Steptoe, Fawlty Towers, David Attenborough, etc. Unfortunately, we now -all too often and on a day-to-day basis - see and hear the BBC at its worst: smarmy, arrogant and bigoted. 5.0 out of 5 starsThis excellent vivisection of the BBC reveals the ugly truth about its social engineering agenda. After reading this excellently researched and argued vivisection of the BBC, revealing its insidious social engineering agenda, I have decided to never again pay for the TV licence. Other readers will probably make the same decision. 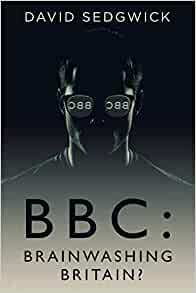 A well needed book that exposes the myth of impartiality that the BBC claims to have. We need a campaign to enable the public to see the actual editing process that the BBC uses to select its news items ,the guests it chooses to appear , the politics of its comedy shows and dramas and the BBC editors questioned about their editing choices. The impression one has is that the BBC does not care anymore about being seen to be biased in niche areas such as Climate Change,Feminism,Israel/Palestine,Multi-Culturalism and Trump as long as it keeps the Labour and Tory parties happy that the BBC is trying their best to give both major parties equal and fair coverage in their news affair programmes. 5.0 out of 5 starsSpotting BBC propaganda should be taught in schools. Brilliant and eye opening book. I read it cover to cover in two days; it was that fascinating. Admittedly I already had a strong dislike for the BBC, but now I have a more in-depth reason as to why. Fantastic book. An absolute MUST read. Quite terrifying to realise sitting in front of the telly box will mess your thinking up. So glad I stopped watching any tv 4 years ago.